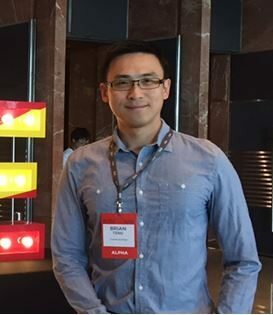 I met in Singapore the co-founder of InvoiceInterchange for an interview. 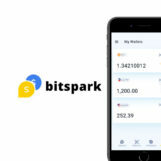 This new Singapore Fintech aims to setup an invoice trading marketplace in Singapore and South East Asia. InvoiceInterchange co-founder, Brian Teng talks to us about how their revolutionary invoice trading platform can help Singapore SMEs finance their business growth and provide investors an alternative investment opportunity. 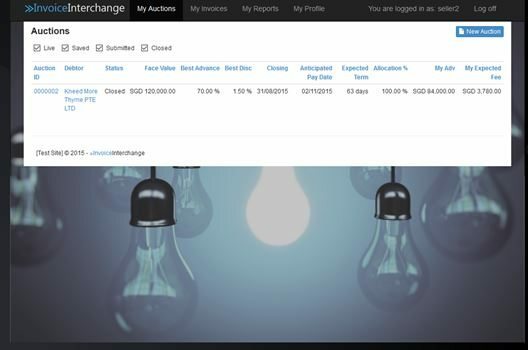 InvoiceInterchange is a totally new way for businesses to access flexible working capital – bringing together businesses that need cash and investors who want a higher return on their cash through its P2P invoice trading platform. Businesses can auction their outstanding invoices (due 30, 60, 90 days) to a network of investors allowing them to get their cash upfront to grow their business. Investors advance cash against these invoices and enjoy a high return when the invoice matures. Q: How are you more attractive than the traditional lender e.g. Banks / Factoring? Unlike traditional lenders, our alternative finance solution is built to the needs of the business owner, where we focus on flexibility, control and speed. We can approve an application within 24 hours and the seller usually receives the money within 24 hours of posting an invoice. This saves time and effort and allows them to focus on their business. There is no obligation to use and SMEs can choose to sell as many or as little invoices they want, and when they want to. SMEs receive competitive rates as investors compete in the auction to provide the lowest cost; there are no service fees, no arrangement fees, no lock-ins and the service is confidential to customers. Also, we do not have any hidden fees and businesses will always know the costs upfront. Q: What kind of return can investors expect? Investors can expect returns between 10-21% annualised. Invoice terms usually range from between 30 days to 90 days. That means investors can see the return of their capital and earnings within 30-90 days. Q: How do you minimise risk to the investor? InvoiceInterchange is a member’s only platform where we conduct rigorous assessment (e.g. financial performance, credit, litigation, AML, fraud) on all SMEs. We also verify each submitted invoice before it becomes available for investors to place bids on. Furthermore, only invoices issued against large organisations (e.g. MNCs, listed companies, government) are allowed for auction on the platform. In the event the invoice is not paid by the debtor, the seller is still legally liable to settle with the investors. Q: How long does it take before the seller of an invoice receives their cash advance? Once the invoice is posted for auction, the seller usually receives the money within 24 hours. Q: What do you find most challenging now? Online invoice trading is well developed in the Western world but is quite a new concept in APAC. Our biggest challenge is to educate businesses and investors on how the product works and the protection businesses as well as investors have against default.